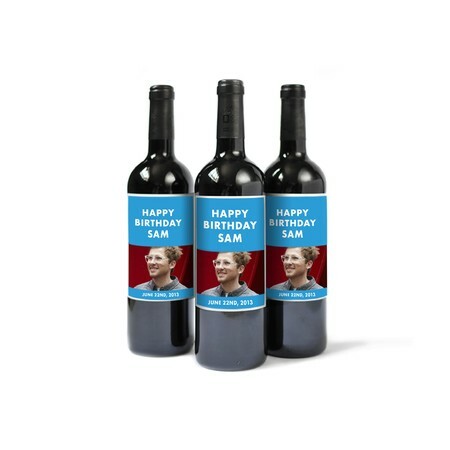 Celebrate in style with a wine label that tops off his party decor. Create custom wine bottle labels for any party with your photos and text. Your labels arrive ready to peel and stick on any wine bottle.